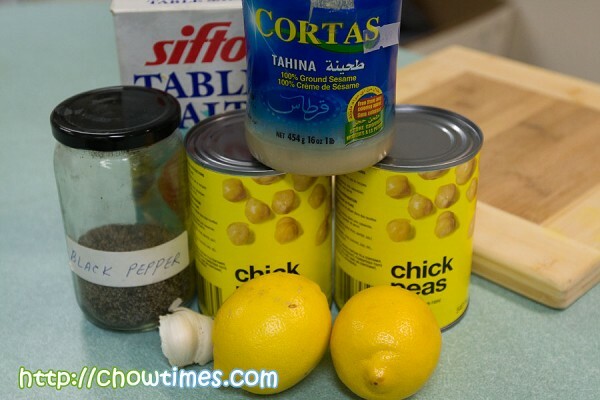 In the Gilmore Park Church Community Kitchen, Minoo demonstrated two recipes. 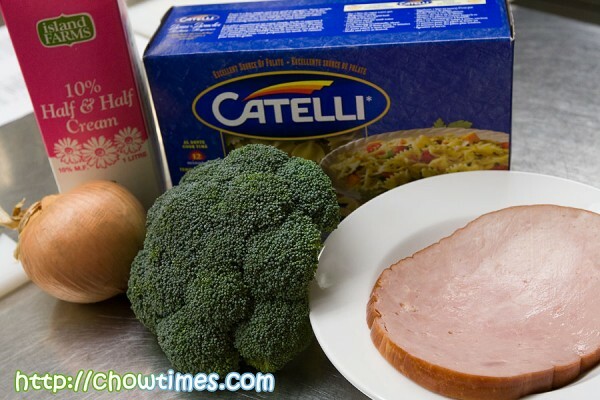 The first recipe is Creamy Bow-ties with Brocoli and Ham. 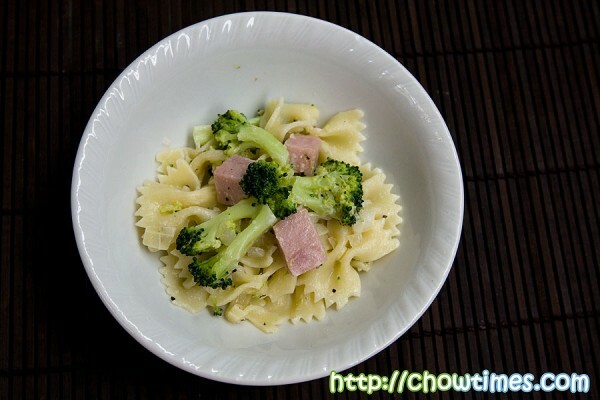 This creamy pasta dish is simple to prepare and it has vegetable and meat in it to make a complete meal. This recipe is taken from eat well and it serves 4. Suanne and I went downtown to cover an event a couple of weeks ago. Since the event was late beyond our normal dinner time and does not really serve food, we decided to just go check out the place which Rey was raving about. 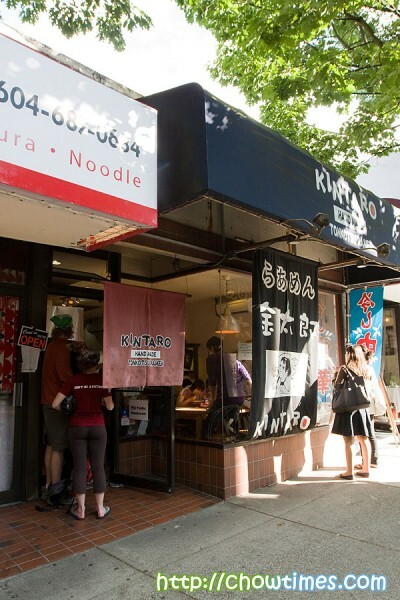 Many would claim that Kintaro’s Ramen is the best in Vancouver. If I recall correctly, Rey even said that Kintaro has the best Ramen outside of Japan … something like that … something like wow, you just gotta try it! We had seen lines outside the small restaurant before and it was something that put us off trying Kintaro. This time we were there at 5:30PM, just before dinner rush hour. There were tables available at that time. However, by 6PM there were already people patiently waiting outside the restaurant for a table. 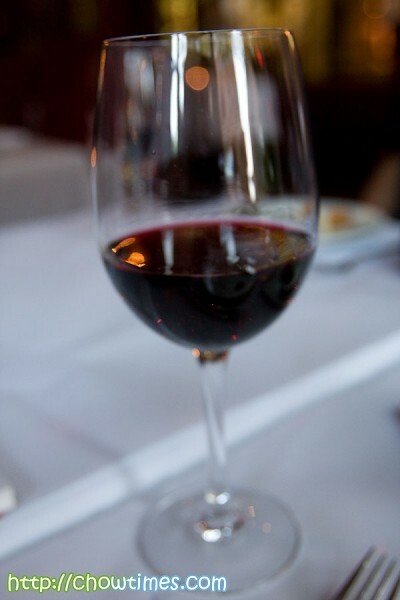 Despite its popularity, the restaurant is unbelievably small and if I could add, spartan. I guess it is the charm of a place like this. It is its simplicity that adds to the charm. In Kintaro, it is all about Ramen, and about Ramen. I always believe that a setup like Kintaro is best left as it is … i.e. they should not change a proven formula by expanding this place or remove the long lines! LOL! I absolutely had no idea what they were all shouting about throughout the time we were there. They shouted the moment we walked in … each time a customer walks out or make an order. Service was polite. They were polite and patient when they took our orders even though we had so many questions on their menu. I guess it was OK then because there were not so many customers. When the lines starts to form, they were politely coming around very fast the moment we put down a chopstick asking if we are done. I understand that they wanted to turn the tables as fast as they can. They did it politely and we understand. Kintaro is not a place where you would dine … I say spending 45 minutes here is stretching it a bit too long during peak hours. It’s order-eat-pay-go here. 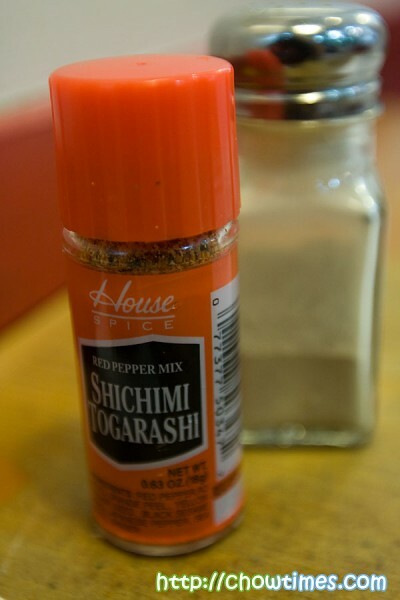 The Red Pepper Mix above (called Shichimi Togarashi) is a common Japanese spice mix used for soups and noodles. It’s a mix of 7 kinds of ingredients. Kintaro’s menu is a simple 1-pager. We opted for the one that stated “Kintaro’s BEST!”. It is the Miso Ramen ($8). 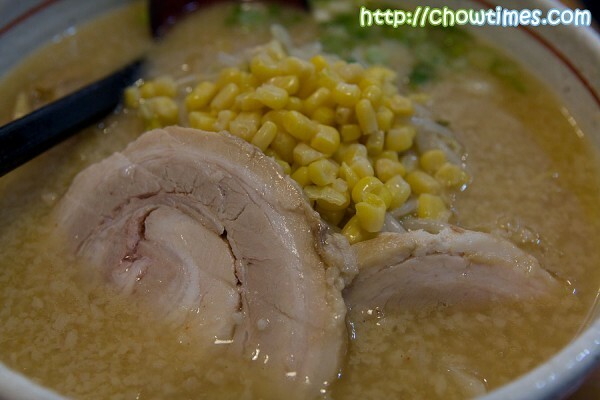 At the time of ordering here, you need to decide on the richness of the broth (rich, medium or light) and either you wanted fat or lean pork. We asked for RICH broth and FAT pork. Kintaro’s menu says that their soup is flavored with a blend of soy bean pastes from 4 different Japanese regions and twelve spices. Whatever it is, the soup was very flavorful. The broth was way too rich which somehow made us feel full. We should have asked for medium instead. You could ask for additional toppings ranging from $1-$2 but we did not bother with that. Every now and then we do get emails from our readers sharing with us a review of their favorite restaurants. About two weeks ago, Julie sent us a longish email giving a description of what we should check out in her family’s favourite restaurant. That restaurant name is Hai Phong. 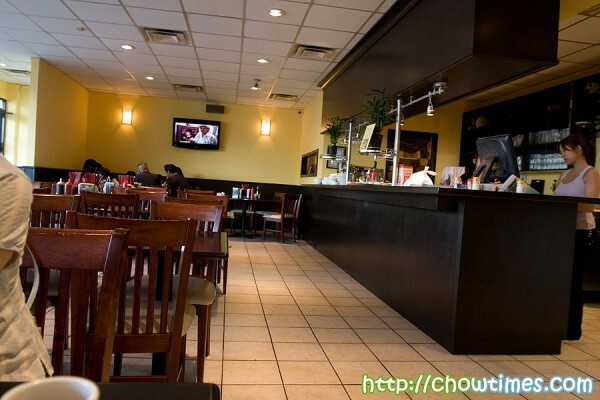 I had heard of Hai Phong, reading it from Tiny Bite’s site and was actually on my list of restaurants to visit. 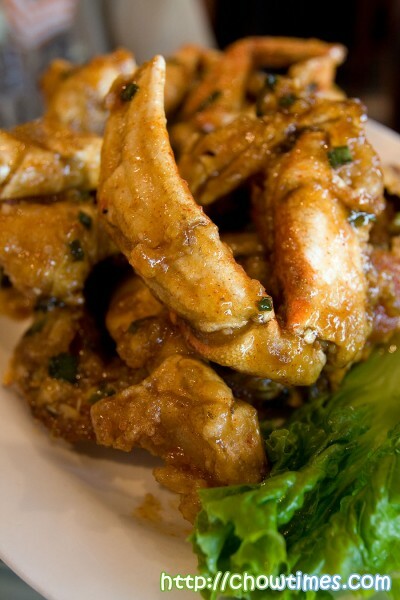 The Tamarind Crab above was what made us decide make the visit. We had enough of Pho, as you probably already know. We want to discover more of Vietnamese cuisine. 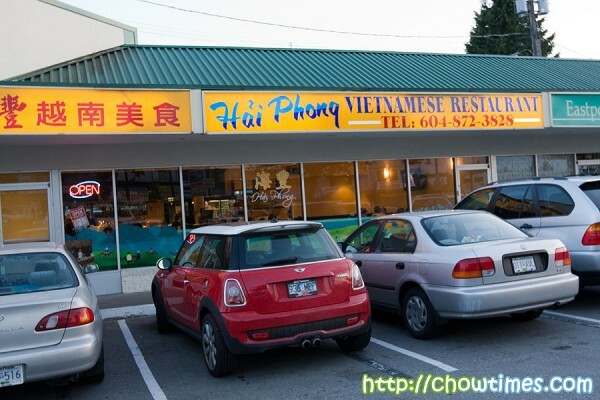 Anyway, Hai Phong is located along Kingsway by Inverness. With so many Vietnamese restaurants along this stretch of Kingsway, it is very easy to dismiss Hai Phong as just one of the many. The interior is bright because of the glass wall along the facade of the restaurant. The place looks new and even have wide screen TVs mounted on the walls. A very pleasant difference; its not only it looked clean but it is also spacious. 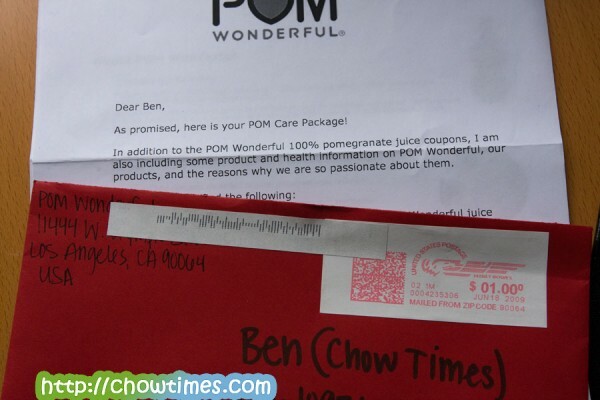 This post is written upon free coupons from POM Wonderful. We are not paid for this post. We do get samples every now and then. Molly sent us an email asking if she could send us some coupons to sample. We said yes and true enough the package came in the mail just a couple of days later. That was fast. Chowtimes had often been contacted asking if we would like samples from food manufacturers. We replied to Molly saying that we’re in Canada because we thought that she may have mistaken us for a US blog site. Very often, the samples comes from the US and the products are not available outside of the US. POM Wonderful, as it turns out, is available widely in Canada. It is just that we had never paid much attention to it. We went to the Real Canadian Superstore to get some. Never knowing where to look for it, we spent quite a bit of time looking — thinking that it is somewhere in the beverage section. We actually had thought it was some form of a concentrate because of the word “concentrate” on the bottle. As it turns out, it was in the section where food like salads are … i.e. at the produce section. 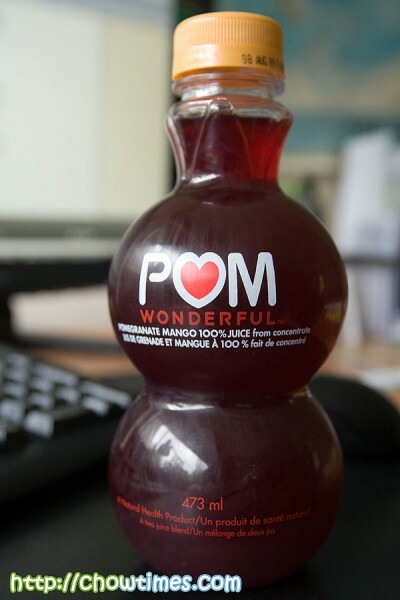 POM Wonderful came in a nice and unique bottle and is supposed to be drank cold. They have a few flavours all identified by the colors on the cap. The bottle is so nice, I know it will end up in the drawer where Suanne keeps these kind of cure bottles — she can’t bring herself to throw cute things away. 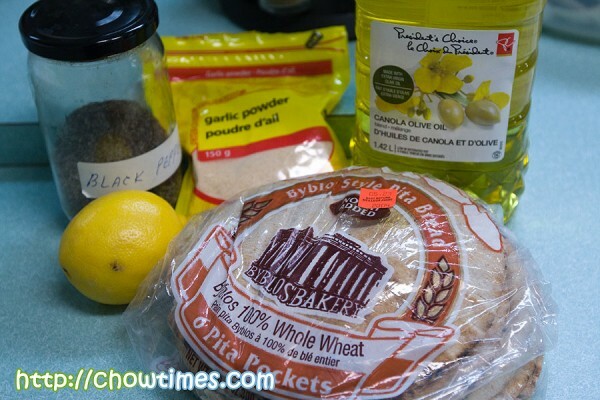 Sydney and Joyce made some Lemon Garlic Pita Chips to go with the Creamy Hummus. It’s a perfect match. This recipe is adapted from Cooking Light and it makes 24 pieces Pita Chips. 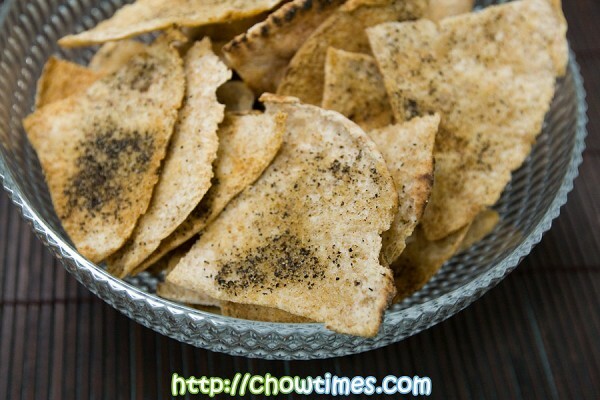 This Lemon Garlic Pita Chips is super crispy and can be eaten on its own as snack. We just cant stop munching on this crispy chips. 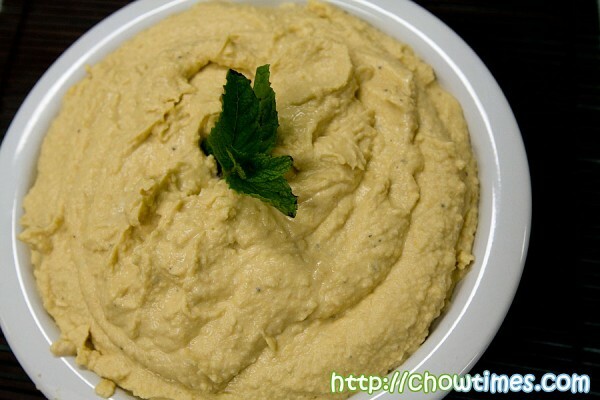 Hummus is a popular Greek dip. I must warn you in advance that if you are going for a date, refrain from eating too much hummus as the raw garlic after taste is going to ruin your date. June and Christina partnered to make this Creamy Hummus in the South Arm Cooking Club for seniors. This recipe is adapted from Cooking Light and it serves 4. For a truly creamy hummus, it’s important to blend the tahini with water and lemon juice first; this allows it to emulsify, and gives the hummus its fabulous texture. This Creamy Hummus is best served with some pita chips. 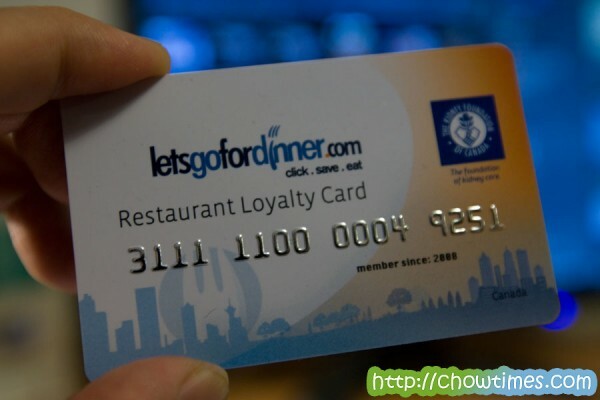 Suanne and I first came across letsgofordinner.com Restaurant Loyalty Card during the EAT! Vancouver event. They got our fleeting attention with their claim of giving away 50% off dinner with the use of their Restaurant Loyalty Card. We did not think much about it until a few days after we got home while sorting through the stuff we collected at EAT! Vancouver. Updated: 29th June 2010; This restaurant had been closed according to Urbanspoon. 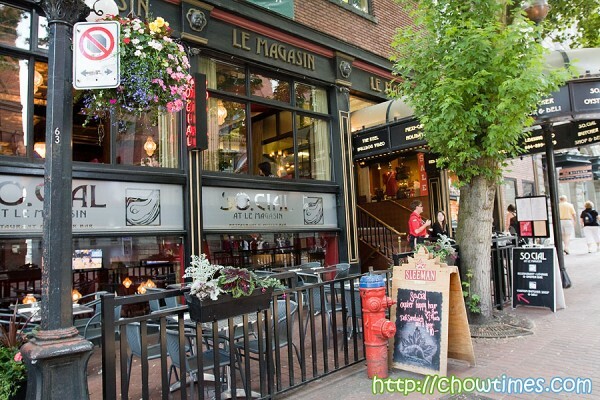 We had been receiving emails about a promotion at So.Cial at Le Magasin. It was all about their $12 Prime Rib Dinner every Sunday. That sounded so good because I was thinking that it is going to be like the Garlic Studded Prime Rib that Suanne used to make at home. Since Suanne does not use the oven in summer, there is very little chance I am going to get Prime Ribs at home for the few months. We thought that at $12, we could not go wrong. I was on the phone with ET of Doesn’t Tazte Like Chicken and asked if they would like to join us for the Prime Rib dinner. Suanne and I sort of knew that Christina would say yes because she is a sworn “meatatarian”. Does anyone know why So.Cial is spelt with a dot? 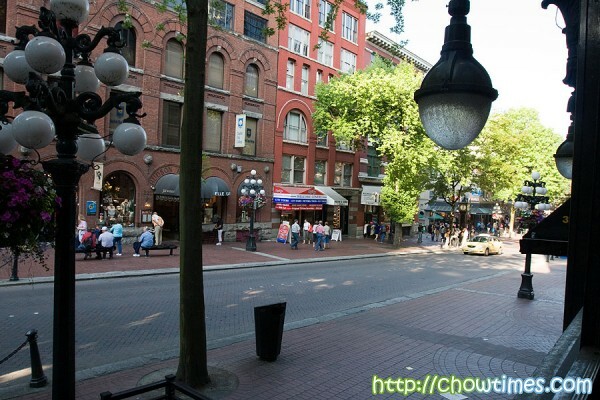 You know, I had never dined in Gastown before. As a matter of fact, the last time I walked down this street was … wow … 8 years ago. This tourist stretch was very quiet that day. I guess it’s because it was a Sunday evening. We got seated by the window which give a clear nice view of the street. The interior was really pleasant. 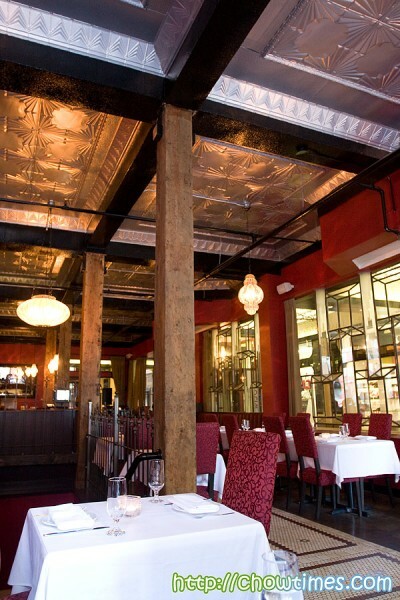 I love the metallic ceiling and timber pillars. The restaurant was virtually empty the entire night we were there. There was only three tables taken at max … and none of them ordered the Prime Rib. As a matter of fact, most of the customers does look like they were tourists. We each ordered their house wine — everyone except for Suanne. It was about $5, I think. 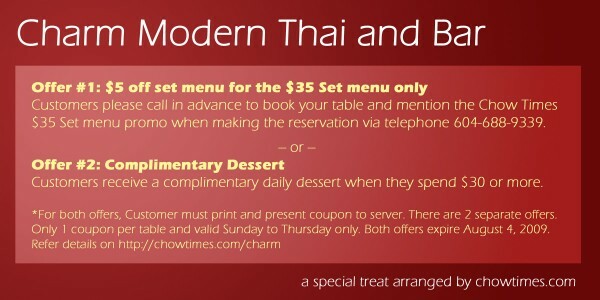 Following our review of the dinner, Charm Modern Thai had very graciously agreed to offer Chowtimes Readers a chance to check out their restaurant at a discounted rate. 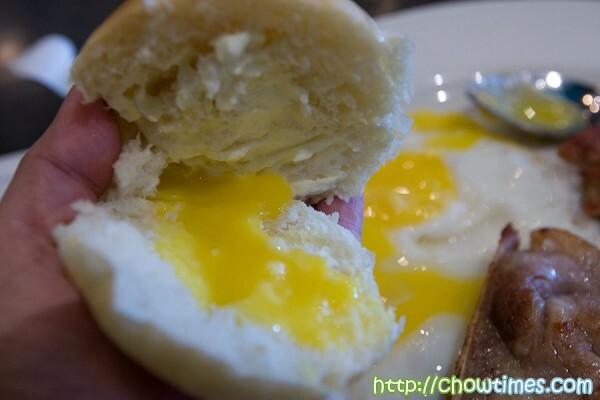 This is exclusively available only through chowtimes.com. All you got to do is to read the terms and conditions carefully on the coupon below and bring a printout of the coupon to the restaurant. 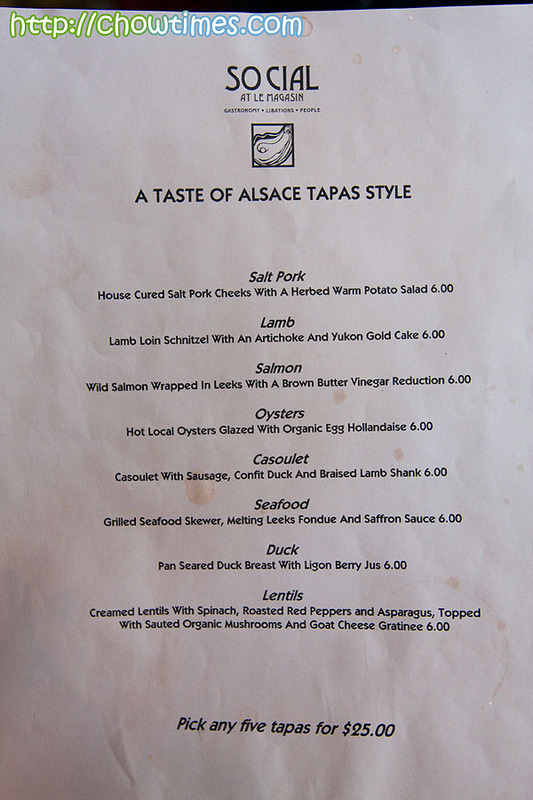 For the “$5 off the $35 Set Menu”, please note that you need to call in advance to book your table. Also note that you will get $5 off for EVERY person in your party if you order the “$35 Set Menu” — good, eh? You guys will have it better because Suanne and I did not even have this discount when we dined at Charm. So there you go … it’s not always that bloggers have a better deal then readers. LOL! Alright, quick … tell me … if you are looking for breakfast at 7AM in the morning in and around Richmond, where would you go? I can only think of #9 and Kam Do. OK, maybe also Lido but McDonalds and Tim Hortons does not count for me. We so wish that there are Dim Sum places that opens at that time. Driving around looking for breakfast two weeks ago, we found out that California Cafe on Lansdowne Mall actually opens at 7AM. We had rarely been to California Cafe but had blogged about that place once before. That was because it used to be closed by the health authorities for some reason I cannot recall. Have you ever stopped going to a restaurant once you learn that they had been closed by the health authorities … even though they had cleaned up their act and was allowed to re-opened? For no rhyme or reason, we “sometimes” do. It depends on how popular the place is to us. LOL! For California Cafe, we stopped going. But we decided to go back in and give them a try again. 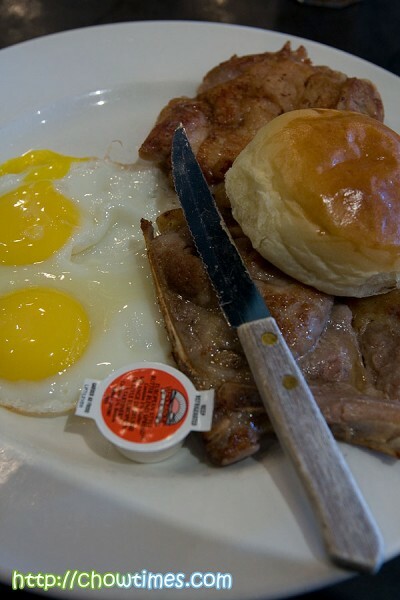 We were letting bygones be bygones … simply because there were no better choices for breakfast. 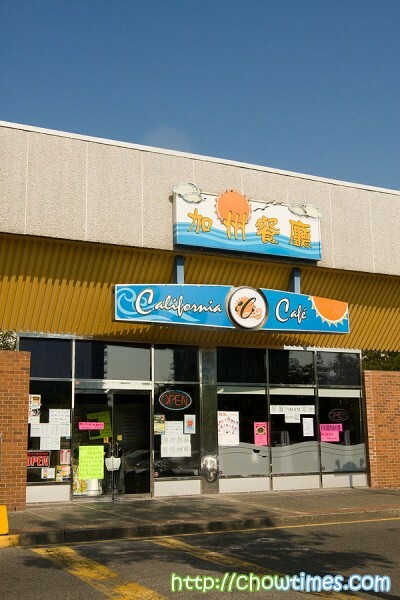 The California Cafe is another of many HK Style Cafes peppered all over Richmond. The interior is the same as I remembered it except that the grand piano is no longer there. I had always thought that the interior is kind of stylish with a main raised platform area. 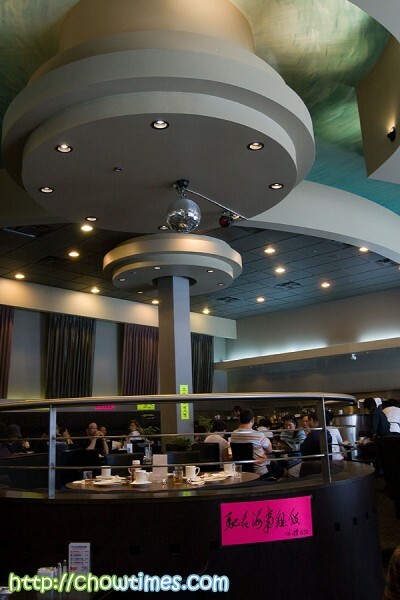 Beyond the structural design, the place is still quite haphazardly organized, very much like many Chinese restaurants. We were there at 7:30AM. Suanne was still fuming that I dragged everyone out for breakfast so early during the weekend. She just wanted to sleep in but me, my biological clock is tuned to Atlanta and London time for months already. So, for me waking up at 6:30AM is like waking up at 9:30AM for Richmondites. Actually Suanne has a choice. She either could wake up at 6:30AM to make breakfast or she could wake up at 6:30AM and go out for breakfast. Being a sensible person she is, she chosed the latter. BTW, just so that you know, I don’t even know where to get the toast spread in the kitchen at home and also do not know how to operate the coffee machine too. I really am not domesticated for these tasks at home. LOL! On a more serious note, I really think there is a dearth of early breakfast joints in Richmond. Even at 7:30AM, California is already filled with customers. They have very good Pineapple Bun here. 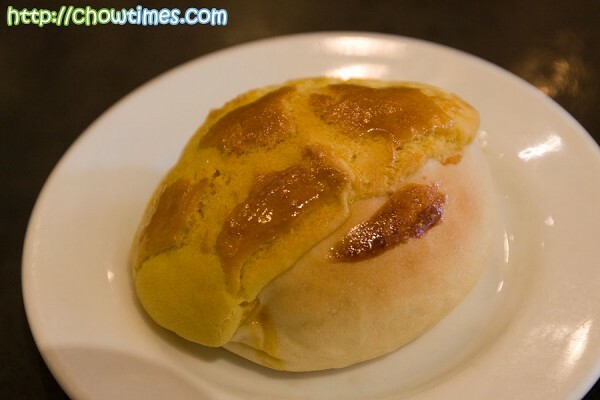 In Cantonese, they are more cutely referred to a Bolo Bun. Seeing other tables having this we ordered one to sample. You got to know this … how good a Bolo Bun is is sometimes used as a yardstick to determine how good the restaurant is. Serious, I am not kidding. Their Pineapple Bun costs $1.10. It is denser than the ones in Lido which makes the best Pineapple Buns this side of the planet. We like softer fluffier ones but we decided to give them the thumbs up because it tastes really good, particularly the crusty buttery topping. California Cafe has a large menu which lists all kinds of combination that it is so confusing. We had this combination that is called Mix-n-Match which allows you to select two meat items for just $7. Along with this too includes two eggs, a bun and a beverage of your choice. If you like meat, this will delight you. I selected Seared Chicken Leg and Seared Pork Chop. The chops are at least 4″ by 4″ each. I wonder how they make money by selling this for $7.